1: At one point during the casting of “Platoon“, director Oliver Stone wanted Mickey Rourke to play Sgt. Barnes (the Tom Berenger role) and Nick Nolte as the experienced Sgt. Elias (the Willem Dafoe role). Both were offered the parts, and both turned it down. Rourke was also offered the role of Elias. 2: In “Eyes Wide Shut“, according to writer Frederic Raphael, the final form of Bill’s family name (Harford, as opposed to Scheuer in the original story) was inspired by a debate about Bill’s character. Raphael felt Bill should be Jewish as in the original, but Stanley Kubrick insisted Bill (Tom Cruise) and Alice (Nicole Kidman) be “vanilla” Americans, without any details that would arouse any presumptions. Kubrick said that Bill should be a bit like Harrison Ford – hence the name Harford. Ironically, Ford himself is Jewish on his mother’s side. 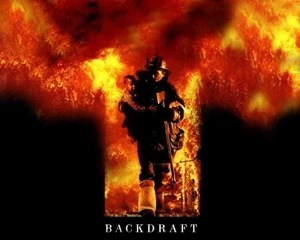 3: After reading the script to “Backdraft“, Jennifer Jason Leigh reportedly told director Ron Howard that she wished she was the fire because it has the best part. 4: Matt Damon and Ben Affleck‘s original script for “Good Will Hunting” was originally a thriller. The characters were the same, but instead of becoming involved with a therapist, Will Hunting became an FBI agent. There were also rumours that Kevin Smith and Robert Towne were interested in rewriting the film. 5: Paul Newman was so ashamed of his performance in the “The Silver Chalice” in 1954 that he took out a large advert in Variety, the movie industry magazine, apologising for it. 6: In Mike Nichols’s “The Graduate“, there is one shot where Benjamin (Dustin Hoffman) holds Mrs Robinson’s breast. She ignores him, rubbing at a spot on her clothes. He turns and bangs his head against the wall. The breast-touching was Hoffman’s spur-of-the-moment idea and he was laughing so much he banged his head against the wall, convinced the shot would be cut. It stayed in. 7: For the German TV version of “Die Hard“, the German terrorists Hans and Karl were been renamed, as the distinctly American-sounding Jack and Charlie. 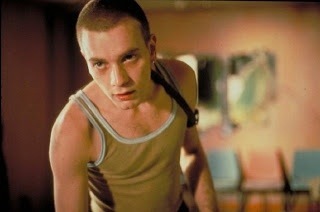 8: When he got the lead role in “Trainspotting“, Ewan McGregor was open to injecting himself with heroin, to better understand Renton’s character. He later decided against it. 9: Director Brian De Palma met Bob Hoskins over a drink in Los Angeles to discuss playing Al Capone in “The Untouchables” if De Palma’s first choice Robert DeNiro were to pass on the role. Since DeNiro didn’t say yes, Hoskins told De Palma he would do it if he were available. When DeNiro finally took the role, De Palma sent Hoskins a thank you note, and the studio paid Hoskins, who had a “pay or play” deal, $200,000. Hoskins called De Palma and asked if there were any more movies the director didn’t want him to be in. 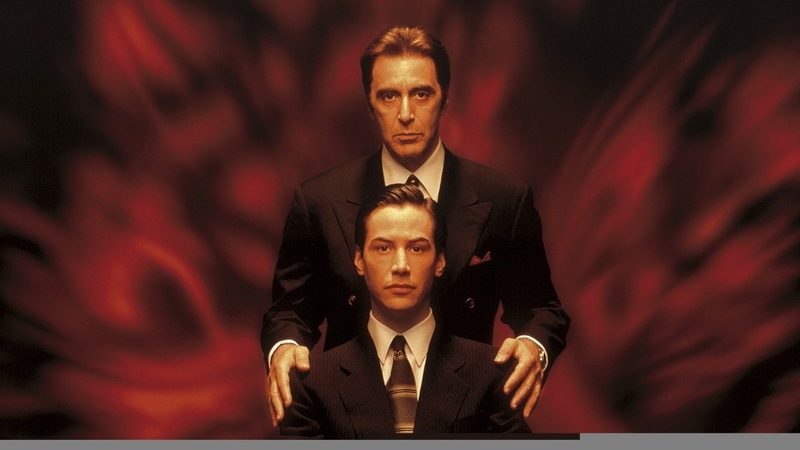 10: In “Devil’s Advocate“, Keanu Reeves played the character Kevin Lomax. The name Lomax may be a reference to being a “Low MACH.” This is a term used to describe those people scoring below 60/100 on the MACH-IV test used by personality and social psychologists to measure “Machiavellianism” which is a measure of a person’s tendency to manipulate and deceive others for personal gain. E.g. “Low MACHs” tend to agree with the following statements (taken from the test): No. 7.) “There is no excuse for lying to someone else.” No. 11.) “Most people who get ahead in the world lead clean, moral lives.” These are precisely some of the personal moral issues faced by the character in the film. This entry was posted on July 8, 2013 at 11:37 am and is filed under Uncategorized. You can follow any responses to this entry through the RSS 2.0 feed. You can leave a response, or trackback from your own site. I’d love to read that original draft of Good Will Hunting! 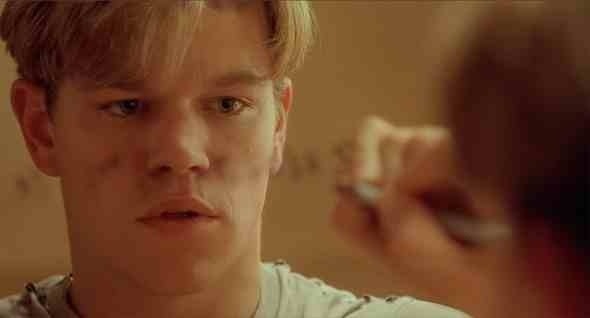 That fact about Good Will Hunting and Will Hunting becoming an FBI agent is insane! It is, isn’t it? I just don’t think that would have worked, man. Awesome trivia Mark!! Ahah, that bit from Jennifer Jason Leigh about Backdraft is hilarious! 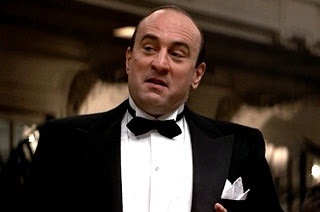 WOW, nice paycheck for nothin’ for Mr. Mr Hoskins, but I don’t think anyone could match De Niro as Capone in that movie! Yeah, not bad work for Hoskins at all, Ruth. 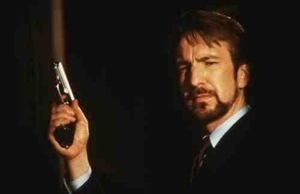 I think he’d have been good but he’s no DeNiro. Awesome bits as always! 2, 3, and 8 through 10 were my favorites. Thanks Fernando! Glad to hear you’re still enjoying them. Great tidbits as always. The Eyes Wide Shut one is really interesting, I feel Kubrick was attempting to give a study on celebrity relationships, hence why he casted Tom Cruise and Nicole Kidman. Thanks man. I totally agree on Kubrick’s take. It’s was a good choice casting Cruise and Kidman. All be it, I think it probably contributed to their marriage ending. Love “The Graduate” tidbit. Also, Ewan made the wise call. I think. It was Corey Feldman in an interview that River Phoenix had never tried drugs until he wanted to for his role in “My Own Private Idaho”. Cheers Vic. Great info on the Corey Feldman/River Phoenix deal. I’d never heard that before. I miss Phoenix, man. He was a favourite of mine. I’m interested in seeing Dark Blood. Haha love the Hoskins story! It’s great isn’t it, Nick.? He wouldn’t have been a bad choice but I’m glad DeNiro took it on. I thought he was great in it. Nice quip from Jennifer Jason Leigh on Backdraft. The Good Will Hunting tidbit is interesting; I could see how that would have been an entertaining film as well. The Hoskins story is great. I’m glad you included it, both for its own sake, and because it provides a clear example of what a “pay or play” contract is. Been hearing the term a long time (largely because of Animaniacs), and never knew just what it meant (and for some reason never thought to look it up). Thanks Morgan. Yeah, the pay or play deal is an interesting one. I’m not sure of many others but its something I’m going to look into. Keep an eye on your comments Tim. I found this in my spam folder along with other bloggers as well. Just to let you know. I don’t think I’ve ever seen a poor Newman performance. I’m interested in seeing the film myself, just for that reason. Thanks Eric! Great stuff, Jennifer Jason Leigh bit was so witty. Nicely done Mr Walker! Can’t believe that Ewan would actually have gone that far for the role! Surely that would have been the most extreme case of method acting of all time?! I think it could definitely be considered the ultimate method. I doubt even DeNiro would go that far. By the way, you were right. This comment ended up in my spam folder. Woo Hoo more Trivia, glad to see this feature making a comeback Mark! You could do a whole feature on films that self destructive Mickey Rourke passed on. I would love to get some of that Bob Hoskins play or pay money, what a great deal. Cheers Adam. It came back last week. I’ve changed the title by omitting “Tuesday’s” though, so I don’t have to commit to a specific day. Totally agree on the Rourke deals. I’ve got a list already but I’m spacing them out between posts. Man, he could have been in some very good stuff. Cheers Cindy. This was a little feature that ran every week for a while. I took a break but its recently returned and I hope you enjoy it further. Theres another one due today. Yeah, the casting of Dogs was quite interesting. I done a post a while ago where I mentioned that James Woods was also offered a role. However, his agent never told him and subsequently got sacked. Woods would have done the film and apparently the role was Mr. Orange.